For orders outside the US, please complete this form. Please complete our order form and you will be redirected to a page to process online payment. If you have difficulties processing payment after submitting the form, please call INX at (630) 382‑1863. 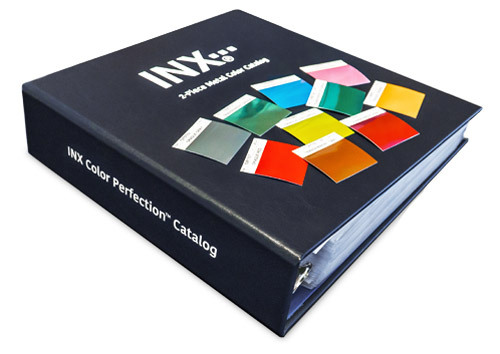 The advance color communication tool contains over 600 metal color swatches that accurately represent the finished metal print. The metal color swatches are organized by color family and are removable so they can be used with reference and placed back in their locations using the table of contents and location number located on each swatch.